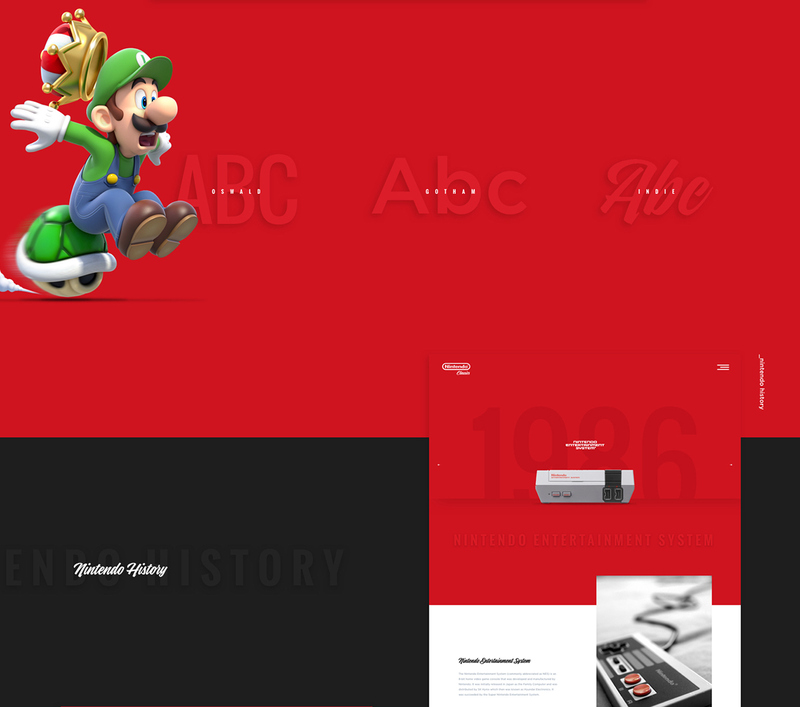 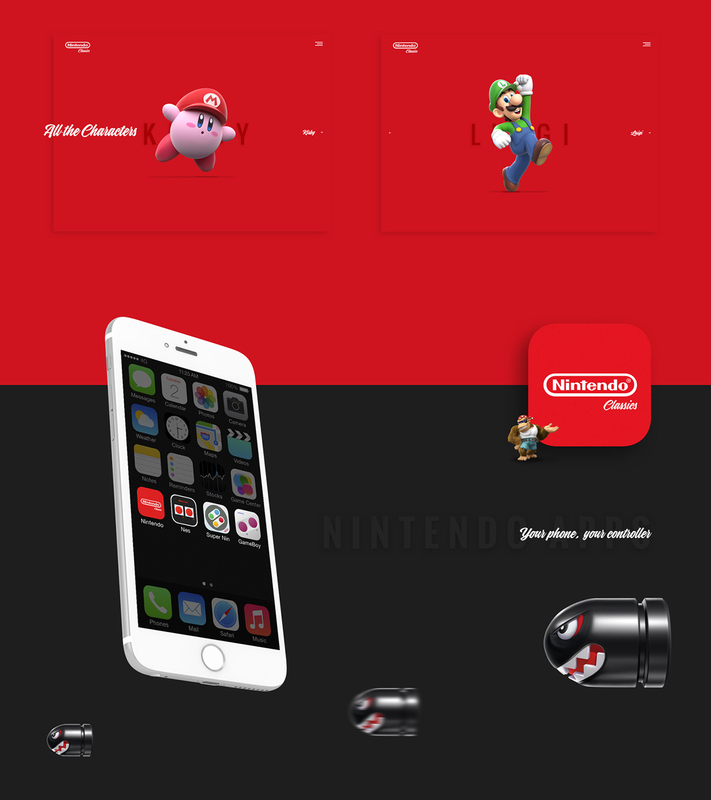 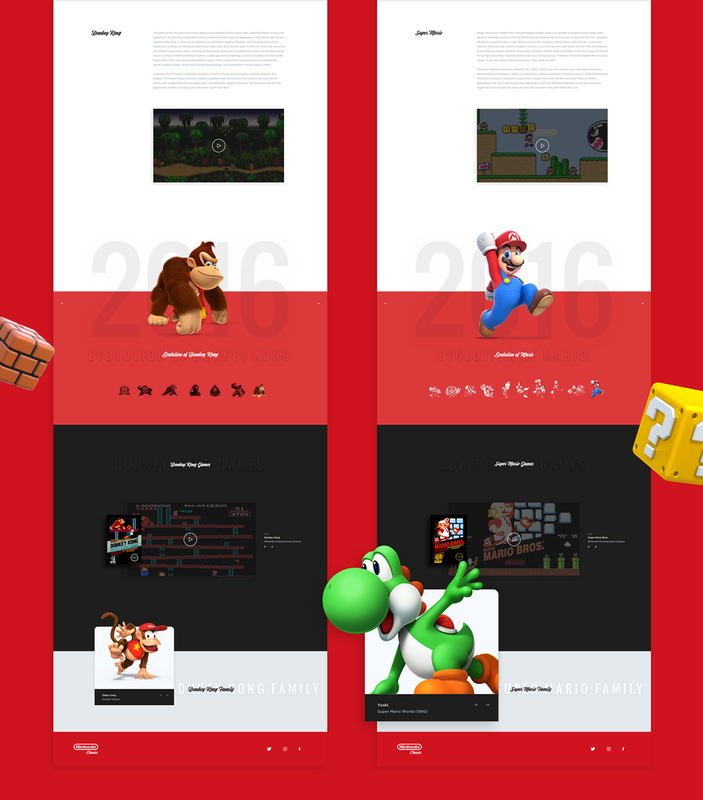 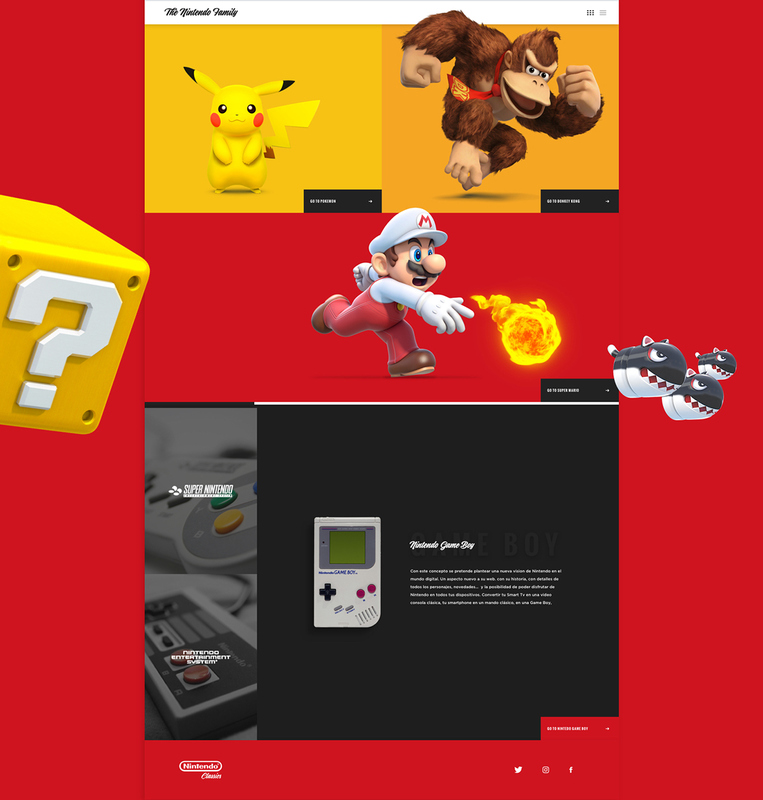 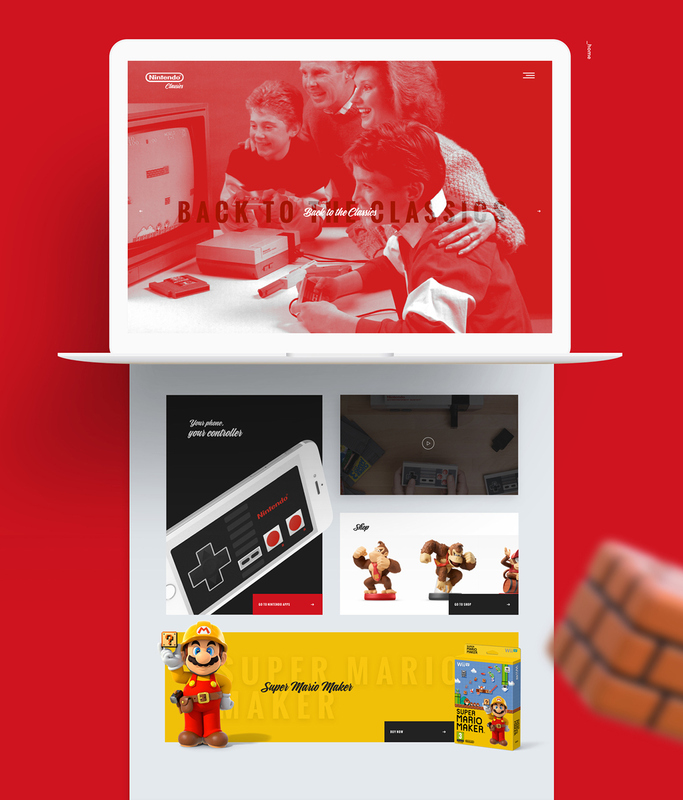 The main idea of this project is to create a new digital experience for Nintendo, using today´s technologies. 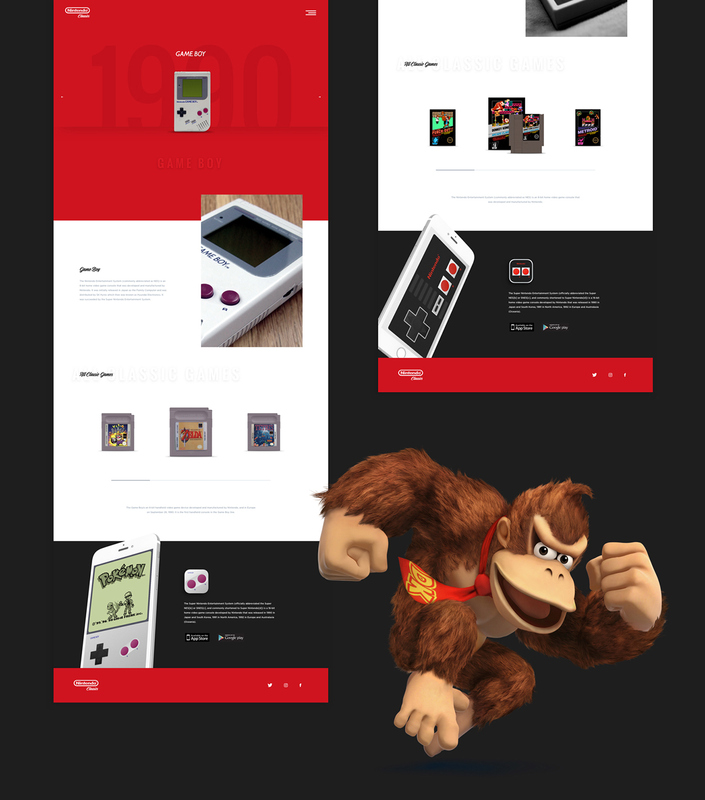 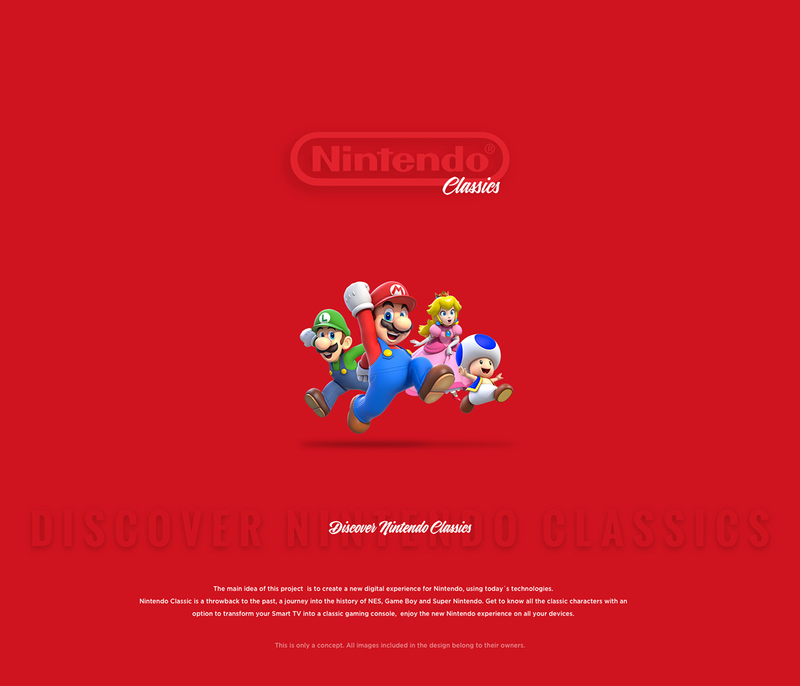 Nintendo Classic is a throwback to the past, a journey into the history of NES, Game Boy and Super Nintendo. 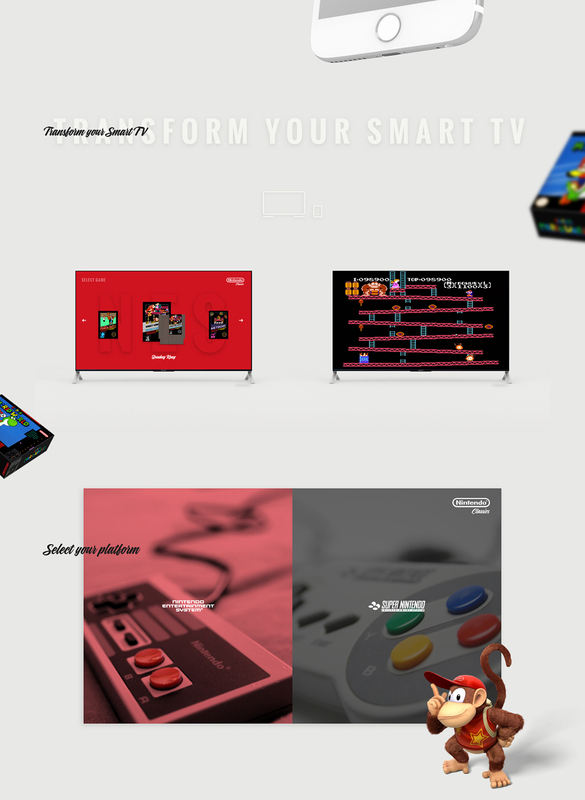 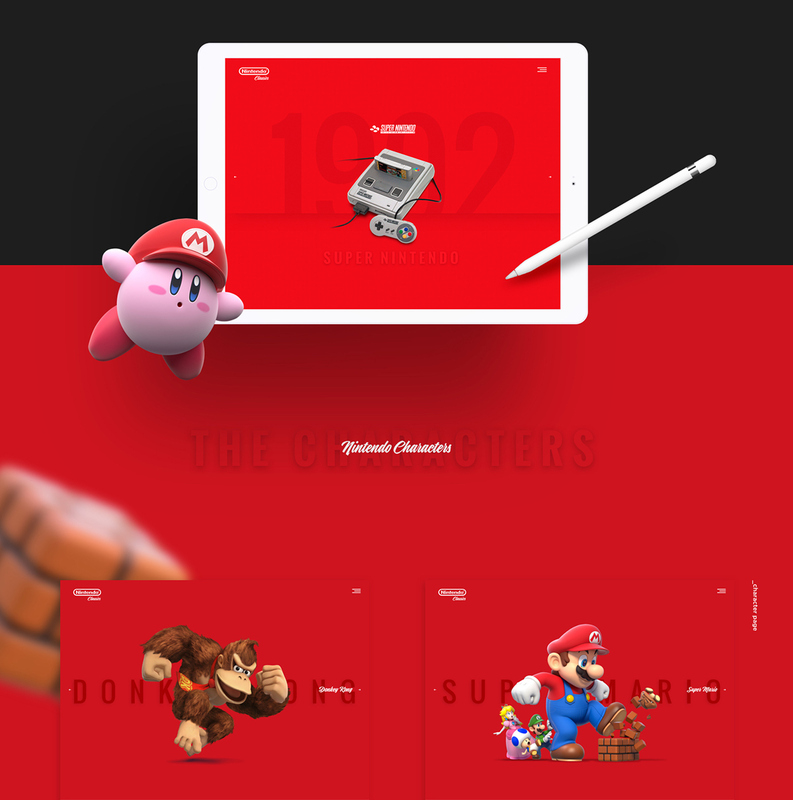 Get to know all the classic characters with an option to transform your Smart TV into a classic gaming console, enjoy the new Nintendo experience on all your devices. 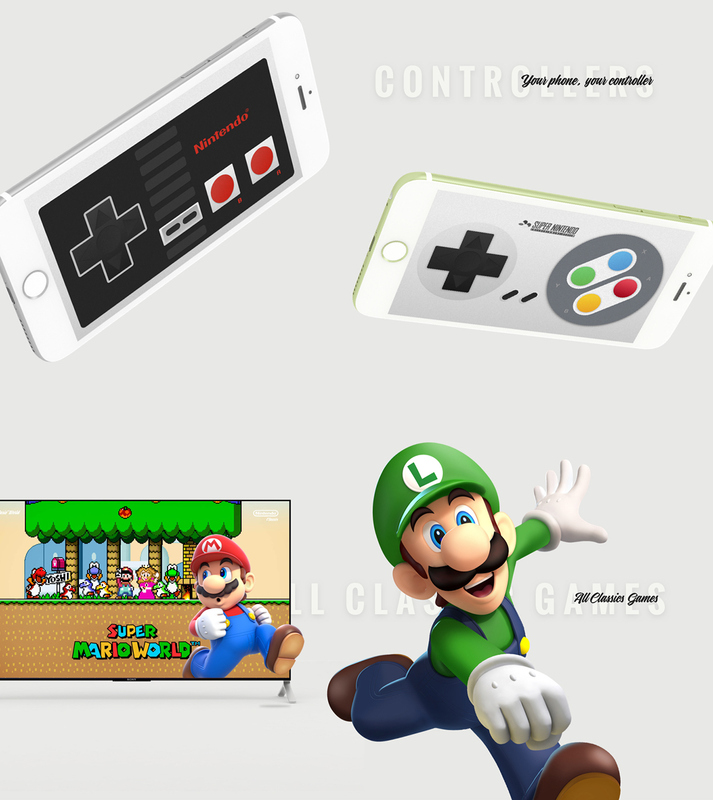 This is only a concept. 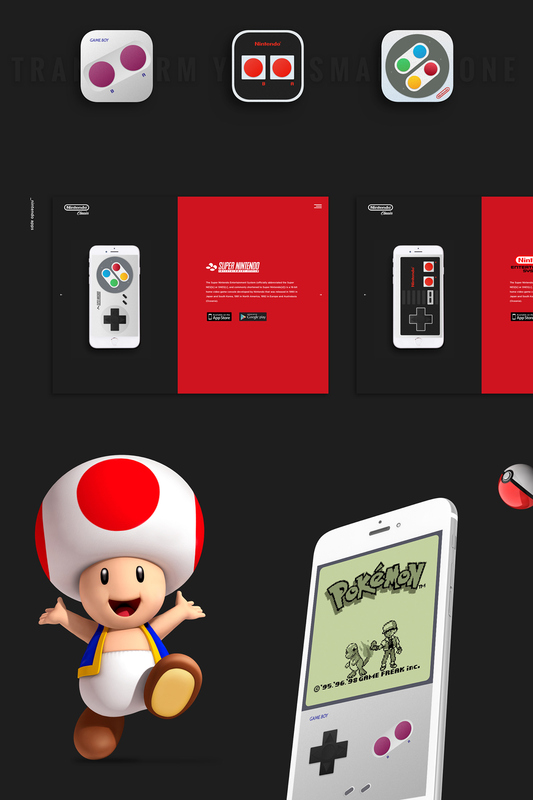 All images included in the design belong to their owners.